This is the next post in my series on whether it is worth it to hire an attorney to defend your Arizona nursing license. My last article discussed how a lawyer can help nurses build a record for appeal. It is important to understand that counsel can help you approach your disciplinary hearing in a way which will also consider future possibilities. 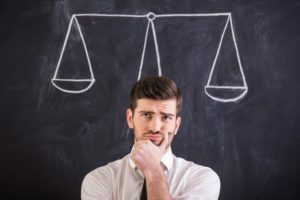 In this article, I will discuss an important consideration for anyone going through such a situation – weighing the cost of legal representation against the cost of losing your Arizona nursing license. If you are facing suspension, then the impact of such an event would likely outweigh the cost of a lawyer. There are many factors to consider when determining how a suspension will impact your ability to earn money as a Registered Nurse. The first of these factors involve the time immediately following your suspension. The second of these factors involves the time after which your license is reinstated. I will discuss each of these issues in turn. After looking at these issues it becomes obvious, in my opinion, that it is worth it to hire an attorney to protect your license. If your license is suspended, then you will not be able to work as a nurse during the period of suspension. This means, for example, that if you are suspended for three years then you will likely lose your job and that you will be ineligible to work as a nurse in any other hospital. Moreover, other state licensing boards will typically honor Arizona’s term of suspension. This means that you would likely be unable to work as a nurse in any other state during this time. To make matters worse, the suspension may show up on a background check if you apply for other forms of employment. As a result, you may find yourself disqualified from many jobs which do not involve nursing. To put it simply, it will likely be very hard for you to earn a living while you are under suspension. One must also consider the fact that it will be more difficult to obtain employment as a nurse after a suspension has been served. Even though you may be eligible to work in your field, many employers and hospitals will likely wish to not hire you. This is because hiring someone with a disciplinary history can open a medical provider up to liability if a patient ever wishes to make a claim. This means that, due to your suspension, you may find yourself unable to gain employment even after you have been reinstated. It is true that legal representation can be expensive. When this expense is, however, weighed against a loss of income which can span several years then it becomes obvious that hiring an attorney to assist you with your situation is “worth it.” Counsel may be able to assist you in gaining a resolution which allows you to keep your license with certain restrictions and, if necessary, a lawyer can dispute the allegations before the Administrative Law Judge. If you retain the ability to earn a living, then your legal fees could be considered money well spent. Contact my office today to speak with a Phoenix nursing license defense attorney. I also represent defendants in other Maricopa County cities such as Mesa, Glendale, Scottsdale, Chandler, and Gilbert. My firm also assists Pima County residents in Tucson.